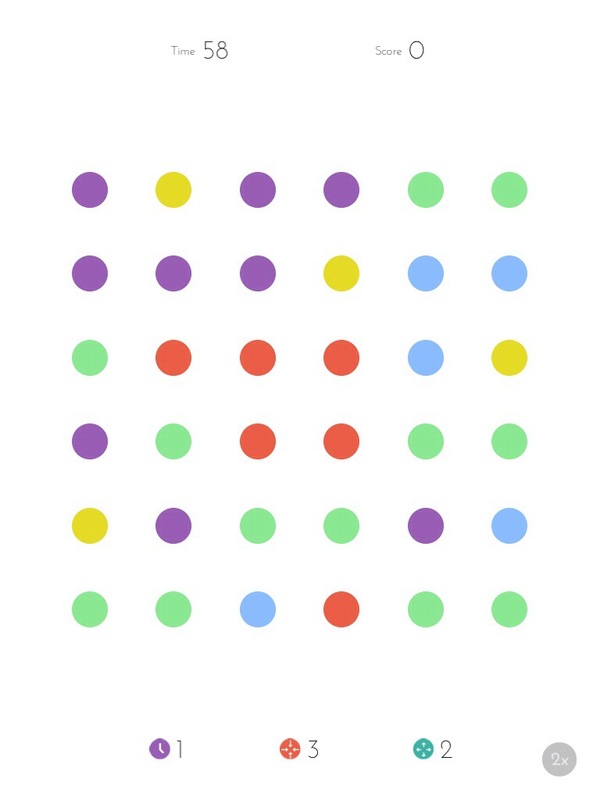 This is what Dots is all about – as long as you only move vertically or horizontally, diagonals are not welcome. I was introduced to this game while in a waiting room that I would spend two weeks sitting in. I’m not saying it made things easier, but it did make things bearable. The game is quick and simple. Once you get the hang of it you will be addicted. The mechanics are intuitive, couple that with some competitive leaderboards with friends and you’ve got a good time. What I love about Dots, and what I search for in a lot of games and apps these days is the ability to play for free but have payments to enhance the experience rather than become a necessity. With dots, you can use the dots you earn from playing to buy power-ups. If you don’t want to play to amass dots then you can pay for dots. It encourages you to play and spend time getting more skilled at the game to earn your power ups. If you lead a busy life then you can pay for them. It works either way. It’s fun to play and just so damn pretty I’d like to think that maybe Charles Eames would have it on his iPad were he still around today. This entry was posted in Geek, Technology, Video Game and tagged App, application, dots, Game by Jonathan Day. Bookmark the permalink.